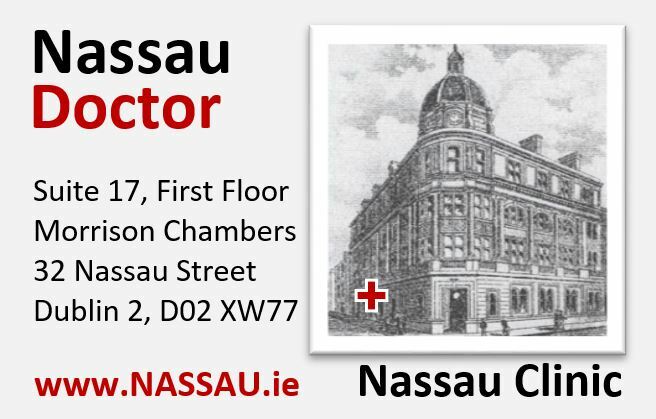 Nassau Clinic offers Same Day Appointments with a private doctor in Dublin City Centre and is located 1 minute walk from Grafton Street. 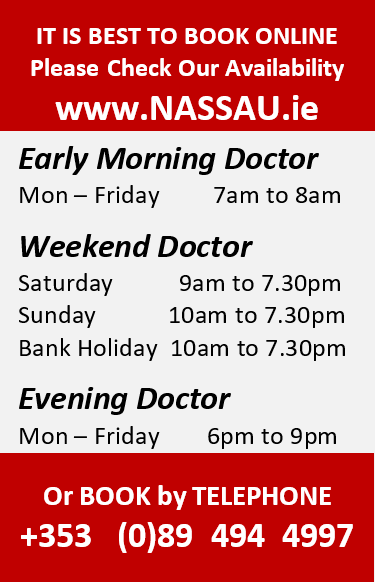 Weekend Doctor GP offers an out-of-hours service on Saturday, Sunday and Bank Holidays. Saturday Doctor GP offers an out-of-hours service on Saturday. Sunday Doctor GP offers an out-of-hours service on Sunday. Bank Holiday Doctor GP offers an out-of-hours service on Bank Holidays. Early Morning Doctor GP offers a service between 7am and 8am - suitable for fasting blood tests. Evening Doctor GP offers an out-of-hours service in the Evenings.